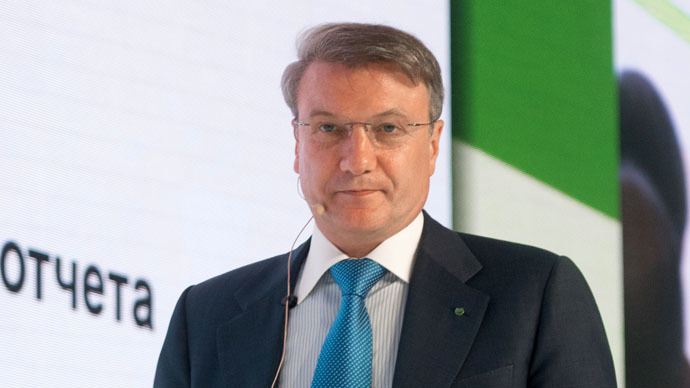 Herman Gref, the head of Russia’s largest bank Sberbank, welcomed the introduction of Islamic banking in the country’s traditionally Muslim regions, saying it would help attract capital from Arab countries. "We will actively promote the development of such a tool as Islamic banking, as it opens up a good opportunity to work with international partners amid sanctions," said Gref on Friday at a shareholders meeting. "In circumstances where we have problems with raising funds on the international markets, it is a very important thing," he said, adding that he had recently held a series of meetings in the Republic of Tatarstan with Arab investors. Tatarstan is a key Russian region where the idea of Islamic banking is being actively developed. Investors from the Gulf States are ready to inject huge funds in the development of such an alternative financial system in Russia, given a significant demand from the Muslim population. The rapid growth of the Muslim population in Russia contributes to a sharp increase in demand for Islamic banking tools expected in the coming years, said Samir Tagiyev, manager for business development in the CIS and Europe, the Islamic Corporation for the Development of the Private Sector (ICD), quoted by Vesti Finance. The Islamic financial system has the same tools as the conventional one, but the percentage basis is replaced with the provision of shares in the company, and, hence, income. This means the bank shares all the risks with its borrower. Therefore, lending under Islamic banking is purpose-oriented. Usury or any other activity that involves receiving interest income is unacceptable in Islam. Financial transactions should be based on a real trade or business and should not be connected with activities prohibited by Sharia law, such as gambling or alcohol. The Russian government has to elaborate a legal framework that will integrate Islamic banking into Russia's financial system. If this is done, the volume of Islamic financial assets not only in Russia, but also the countries of Central Asia, could reach $24 billion as early as 2018, according to Vesti Finance.